Well, there's been a considerable gap in time since my last review (okay, only a little over a week, but that seems like a lot!). I just started a new quarter of University so things have been a bit hectic what with figuring out schedules, getting into the flow of new work from classes, etc. Things are slowly starting to settle back down, so reviews should be back to coming at more regular intervals (hopefully)! This was one of those unexpected books that I stumbled upon and ended up being extremely pleasantly surprised! The Creation of Eve basically follows the adult life of Sofonisba Anguissola, the first renowned female painter from the Renaissance. She works as a student of Michelangelo before being shipped to Spain to act as a painting teacher for Queen Elisabeth, the young and recently married wife of King Felipe II of Spain. This then follows Sofonisba's experiences as she becomes a trusted confidant of the Queen, while also following the relationship and life between Queen Elisabeth and her husband. 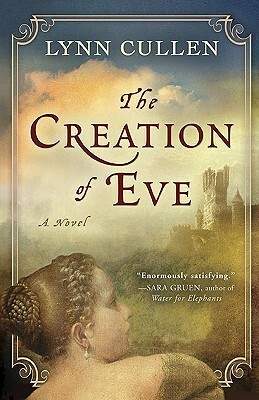 I really enjoy certain types of historical fiction, and this book definitely hit my historical fiction spot! Cullen did a remarkable job of creating the setting and period of the Golden Age of Spain, a time of powerful monarchies and strict rules regarding just about all aspects of a citizen's life. The character of Sofonisba was very intriguing to me. She has a very modest and innocent exterior, yet also embodies a rather rebellious and outgoing interior, which we are able to steal glances of through her thoughts and occasional actions. The fact that we are able to learn about these different aspects and characteristics of Sofonisba made me quite happy, as it makes her a very interesting and well-rounded character. I also found the relationship between Queen Elisabeth and her husband rather fascinating to read about. There is so much left unsaid in these types of political marriages, and it is truly mesmerizing to see them play out, especially when there are so many potential scandals and various factors involved. Cullen writes with a very calming style; she chooses her words carefully, and thus writes with great eloquence. It is the type of writing that soothingly eases you on. You keep reading and reading, not realizing quite how much you have read until you find that you are almost done with the novel. I also liked exploring the various themes of the novel, which included art (for instance, Michelangelo), court and political intrigue, the various roles that women take on during these period, and a variety of others. I actually believe that I am going to give The Creation of Eve five stars. I honestly really loved every aspect of this book. I don't ever recall finding myself bored or irritated with any of the characters - I was entertained the entire time. I would definitely recommend this to people who enjoy historical fiction, art, drama, and history!